Tweeted from the account of the official spokesperson of Pakistan Armed Forces, Major General Asif Ghafoor, the clip comes hours after Pak forces claimed to have killed 5 Indian soldiers in response to ceasefire violations on Saturday. 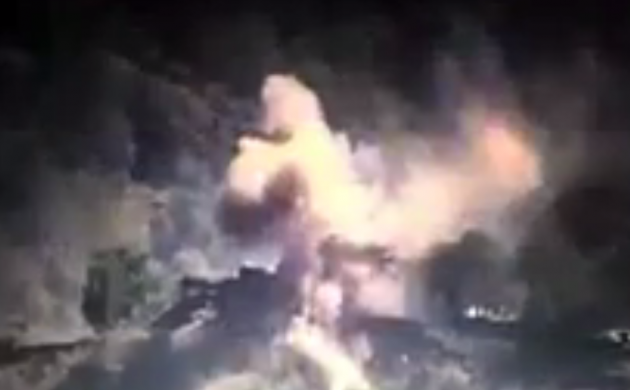 Pakistan Army has now released a video clip 'showing destruction of Indian posts on LOC by Pak Army in response to unprovoked Indian firing'. Tweeted from the account of the official spokesperson of Pakistan Armed Forces, Major General Asif Ghafoor, the clip comes hours after Pak forces claimed to have killed 5 Indian soldiers in response to ceasefire violations on Saturday. “Indian unprovoked CFV at Tatta Pani along LOC, violently responded. Indian bunkers destroyed, 5 Indian sldrs killed many injured (sic),” army spokesman Major General Asif Ghafoor tweeted. No further details of the cross-border exchange of fire was provided by the Pakistan Army. Indian Army however informed there were no casualties among its soldiers in the ceasefire violations by the Pakistani troops along the LoC in Jammu and Kashmir. "No causalities have been caused to our own soldiers in ceasefire violation along LoC," a senior officer of 16 Corps said. "The claim of the Pakistan Army that it killed 5 Indian soldiers, destroyed bunkers in firing on LoC, is totally wrong," he said. The Indian Army on Saturday said that a woman was injured when the Pakistani Army violated ceasefire twice in two sectors of Poonch district by firing mortar shells on forward posts and civilian areas along the LoC, prompting Indian troops to retaliate. Pakistani troops initiated indiscriminate firing of small arms, automatics, 82 mm and 120 mm mortars from 0920 hours today along the Line of Control (LoC) in Krishana Ghati sector, a defence spokesman said. Yesterday at 2300 hours, the Pakistani Army violated ceasefire along the LoC in Poonch sector, the spokesman said. The Indian Army posts were retaliating strongly and effectively and firing was underway in both sectors, he said.